When king Prithvinarayan Shah ruled the whole of Nepal, his Army was controlled from his palace on the hilltop at Gorkha. That is how his force dcame to be known as the Gorkha Army. After his Army had invaded Kathmandu, they began to expand east and west. One was General Amarsing Thapa’s Army who marched as far west as Dehra Dun. By that time, India was in the hands of British East India Company. As the Gorkha Army attacked the northern borders of India, they clashed with the British and the Anglo-Nepal War of 1814 to 1815 began. There were many battles of which the battle at Kalanga in 1814 is well recorded. Balbhadra Kunwar who commanded 600 Gorkhas held a hill against some 4,000 British troops. After a month of hard fighting, Balbhadra with only about 70 survivors slipped away silently. Since they had been fighting fiercely, the British officers were so impressed by their courage that he erected a similar stone side bye side to his dead soldiers, in the name of the Gorkha Army though they were his enemy. The stone still stands to this day at Kalanga hill near the village of Nalapani not far from Dehra Dun. Both the British and the Gorkha armies had become accustomed to previous enemies who broke and ran when faced with organized military opposition. Here, both faced an enemy which stood and fought bravely. Both sides treated prisoners honourably. 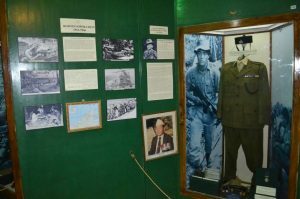 By the end of the war a mutual respect had grown up between the British and the Gurkhas, and the Gorkha Army’s suggestion that they would prefer to fight on the side of the British rather than against them was swiftly accepted. 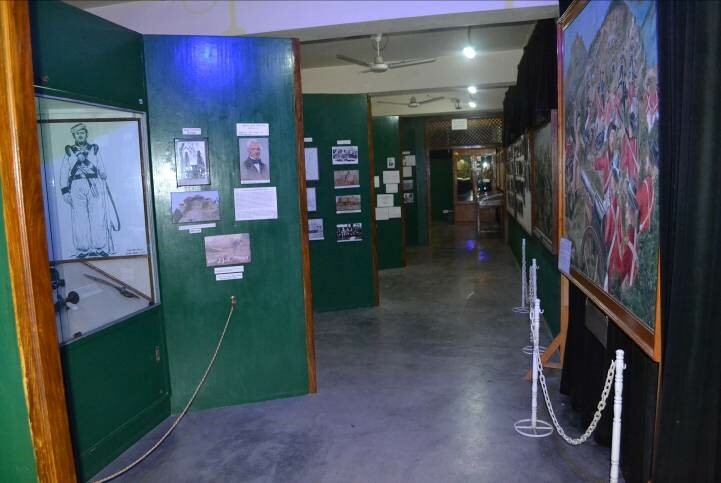 On 24th April 1815, the first three Gorkha regiments were formed. 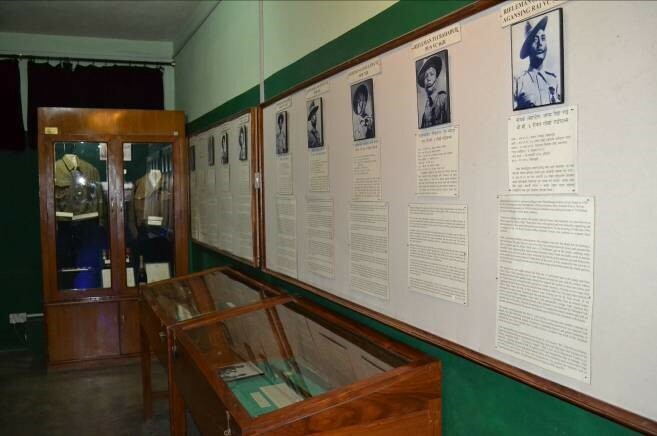 They were named the 1st (Nasiri Battalion), the 2nd (Sirmoor Battalion) and the 3rd (Kumaon Battalion). The battalions consisted of eight companies adn each company had 120 men . Lieutenant Frederick Young was the first British Officer who raised the Sirmoor Battalion from Gurkha prisoners of war. When General Ochterlony finally defeated General Amarsing Thapa, a treaty was signed at Sagauli on 4 March 1816 where it was agreed that Nepal would give up the provinces of Kumaon and Garwal in the west that they won as well as the Terai lowlands. The Gurkhas then took part in many battles but their action in 1857 when the Indian Mutiny took place is quite significant. When all the Gurkha regiments remained loyal to Britain, their actions particularly the Sirmoor Battalion (2nd Gurkha Rifles) during the seize of Delhi, led to them being placed as non- native regiments. They were also given the rank ‘Rifleman’ rather than ‘Sepoy’, and were awarded, perhaps odd, but unique privilege of access to British canteens, out of bounds to all other non-British troops. It is interesting to note that during the Mutiny, Jangabahadur Rana himself took the field with around 5,800 Nepali soldiers and assisted General Campbell in the relief of Lucknow. In recognition of these services, part of the Terai was restored to Nepal. Throughout the rest of the 19th Century from 1858 to 1914, there were ten regiments (1st to 10th Gurkha Rifles) each of two battalions, a total of some 23,000 men who were on operations mainly in the North-West Frontiers of India. Out of the many Gurkhas who won the Indian Order of Merit (IOM), the highest medal awarded for bravery, Kishanbir Nagarkoti’s is significant. Usually the medal was awarded 3 times because there were three classes only. After the first award, a bar was added above the medal to show the won it again. In the case of Kishanbir, because he had won it 3 times already, they did not know what to do when he won the fourth time in 1888! so in order to recognize his bravery, he received a special bar in gold and this outstanding medal is now kept with the 5th Gurkha Rifles in India. In the First World War from 1915 to 1918 over 120,000 Gurkhas served in Europe out of which about 20,000 were wounded, died or went missing. Gurkhas were the first British unit to break the German line at Neuve Chapelle in France. They also fought in the Middle East, most notabley at Gallipoli, where they alone secured the commanding heights of Sari Bair. During this war, two Gurkhas also received the recently introduced Victoria Cross (VC), the highest medal awarded for bravery shown in the field in the face of the enemy. Kulbir Thapa won in 1915 and Karanbahadur Rana won in 1918. Meanwhile as close allies, the Nepalese Army helped to garrison India so that Gurkha troops could be released to go to the front. In the 1920’s and 1930’s the Gurkha regiments formed a significant part of the Garrison of India, and played an active and special role securing its borders and holding its remote regions. 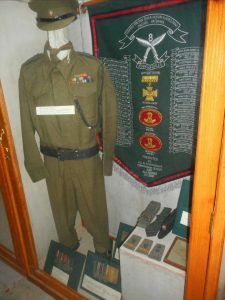 In 1935 during that fatal earthquake in Quetta (later called Pakistan) two Gurkhas from 8th Gurkha rifles received the George Cross (previously called the Albert Medal) for extreme bravery not in the face of the enemy. During the Second World War, approximately 120,000 Gurkhas fought in the hot desert of Africa, the cold winters of Europe or the muddy jungles of Burma out of which some 23,000 were wounded, died or went missing. Apart from small detachments, the main Gurkha regiments fought in Italy, Greece and Burma. By the end of the war, ten Gurkhas won the Victoria Cross. In effect the entire youth of Nepal was placed at the disposal of the British. With a population of only four million, this meant that virtually every Gurkha of military age was serving the British Crown. Casualties were heavy, especially in Burma and Italy. Once more, Nepal came to the British assistance and provided large number of troops to man the garrisons in India. With Indian Independence in 1947 the ten regiments of Gurkhas were split between the Armies of Independent India and Britain. 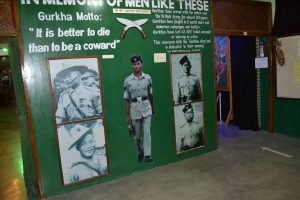 The 2nd , 6th, 7th and 10th Gurkha Rifles transferred to the British Army totaling over 18,000 and were immediately thrown into the campaign to defeat communist insurgency in Malaya from 1950 to 1958. At this stage Gurkhas were based in Malaya, Singapore and Hong Kong. 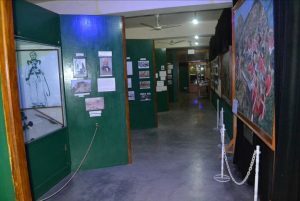 In 1962 the Brunei Revolt started after which the Borneo ‘confrontation’ followed from 1963 to 1965, which involved fighting the Indonesian Regular Army in primeval jungle conditions. Rambahadur Limbu won the Victoria Cross in 1965 and so far is the last Gurkha VC winner. So 13 Gurkhas have won the VC. Gurkhas were also on action in the Falklands War in 1982 in the Gulf conflict in 1990 and thereafter in UN peacekeeping operations in Africa, the former Yugoslavia, East Timor, Afghanistan, Macedonia, Bosnia and Sierra Leone. Since 1947, the Gurkha Engineers, the Gurkha signals and the Gurkha Transport Regiment were also raised. The Gurkha Parachute Company and the Gurkha Military Police with the Gurkha Dog Company were also formed but were disbanded after Borneo operations. The Gurkha Contingent of the Singapore Police was also raised from Gurkha infantry officers and soldiers in 1949. After the Borneo operation in 1965, as part of the Defense Review, the Brigade of Gurkhas was cut down to 8,000 and many sadly went on Redundancy. 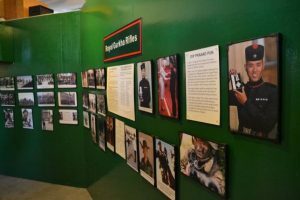 In 1994, as part of Options for Change, there were further cuts and the four Gurkha regiments were disbanded and three battalions worth of Gurkhas were kept to be renamed the Royal Gurkha Rifles with the Brigade number dropping to 3,500. In 1997 when Hong Kong was handed over to China, the Gurkha regiments moved their base to the UK. Today there are only two battalions of the Royal Gurkha Rifles, one in the UK and one in Brunei, as well as elements of Engineers, Signals and Transport. After 1947, the Indian Army continues to maintain the remaining Gurkha regiments, mainly the 1st, 3rd, 4th, 5th, 8th and 9th Gurkha Rifles. 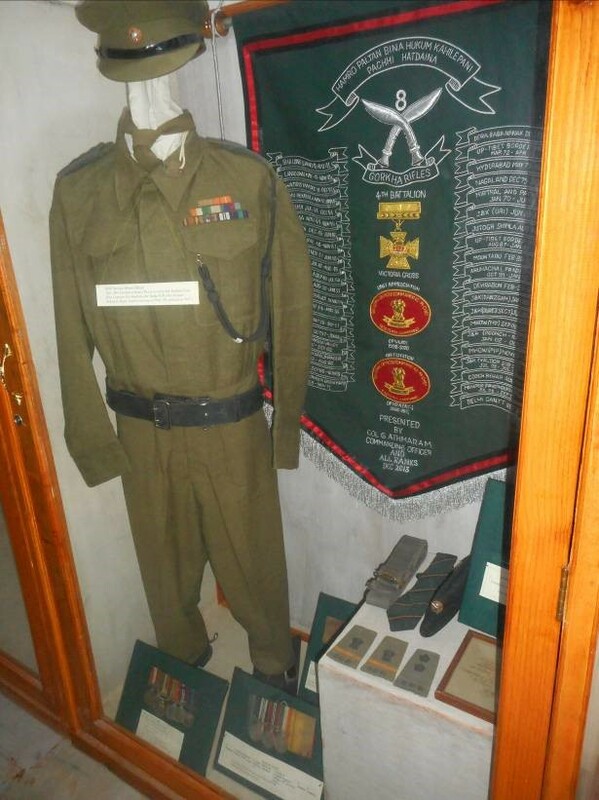 The 11th Gurkha Rifles was raised and disbanded before 1947, but has been raised again in India. 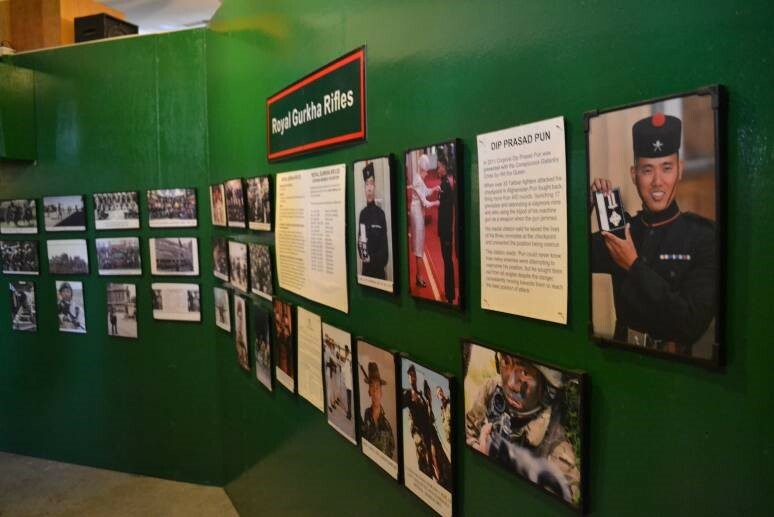 There are estimated to be over 40,000 Gurkhas serving in India. The terminology Gorkha is used in the Indian Army whereas, Gurkha is used by the British Army. 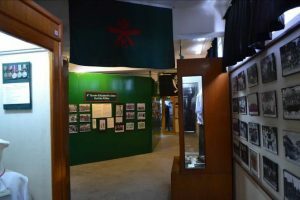 The history of the Gurkhas is displayed in chronological order on several photographs, historical items and writings with coloured lights and sound in the background, at the Gurkha Memorial Museum, Nepal . For further details, please contact the Manager on 061-441762.